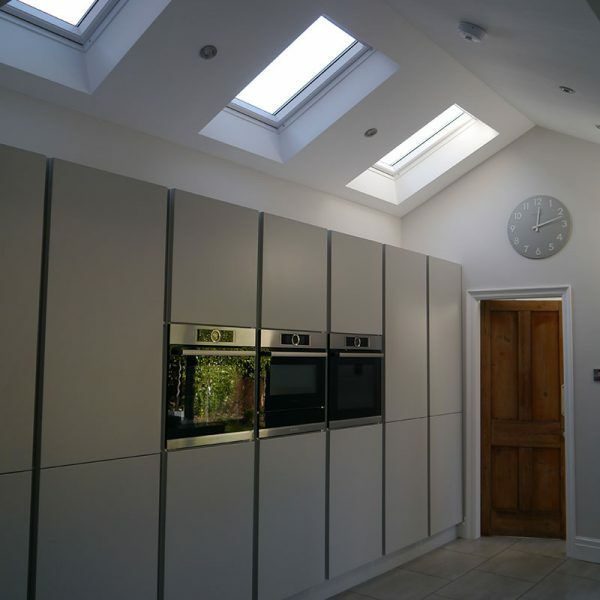 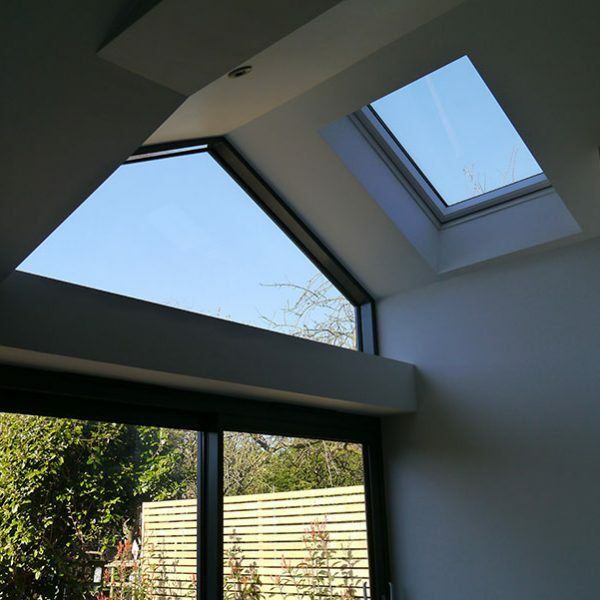 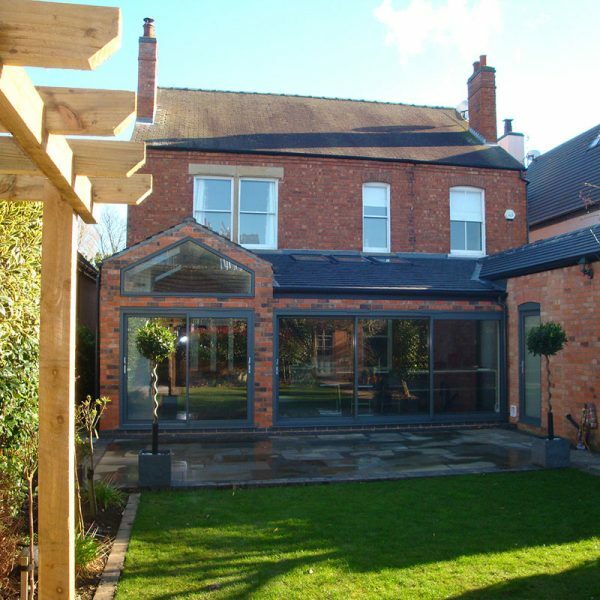 This rear single storey extension replaced an existing conservatory with an open plan kitchen, dining and family space. 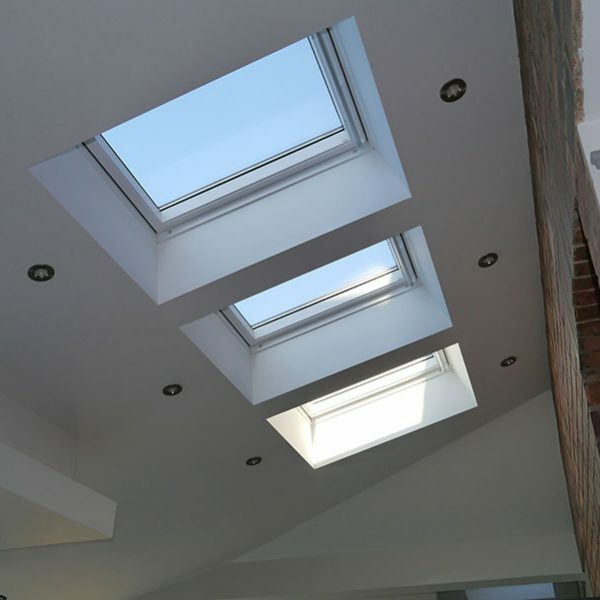 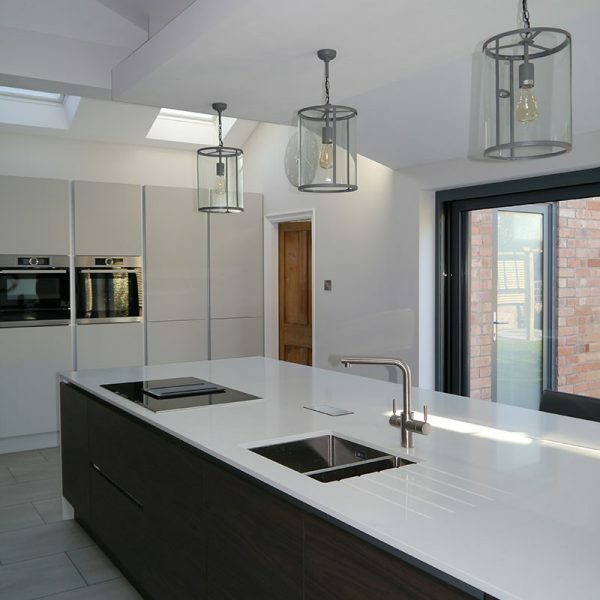 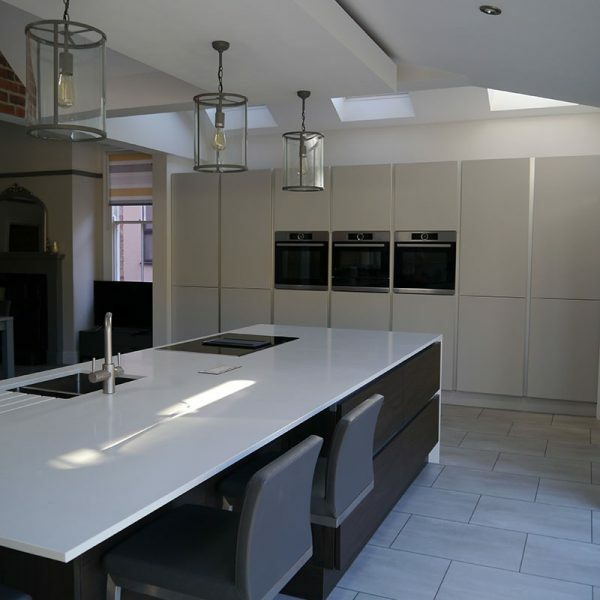 In contrast to the traditional Victorian interior of the original property, the clients requested a clean white minimalist style for the extension. 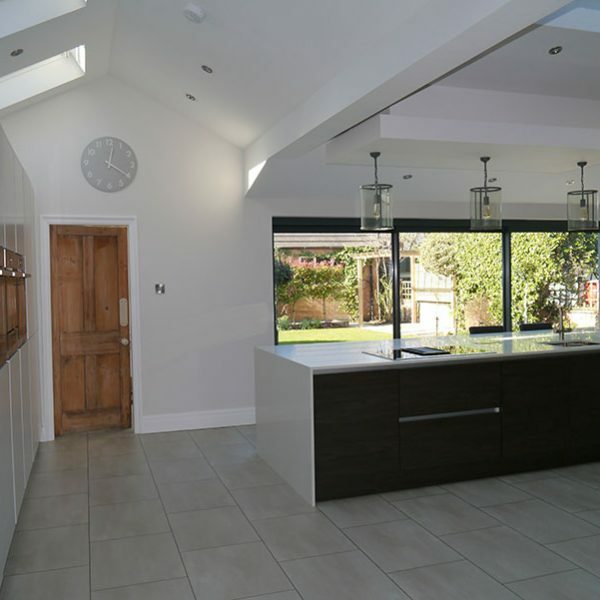 Large sliding aluminium doors and numerous roof lights provide high levels of natural light, and underfloor heating with a feature stove to create a very comfortable place for the family to spend time together.